I met the Cong in July 2017 while travelling in the Lai Chau area. 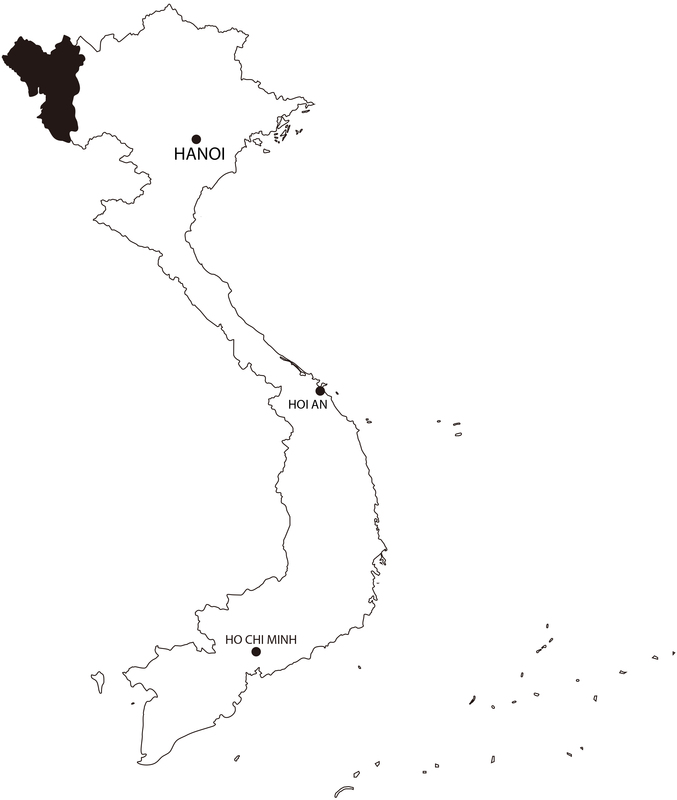 They had settled in Laos for centuries and more than 40,000 still live there today. A few thousand of them migrated to Vietnam and they now represent the 8th smallest cultural group in the country. Like other groups, their villages were relocated. This change of habitat has caused a huge loss of cultural knowledge and heritage, to the point where their culture has almost disappeared and any information about them is extremely scarce. Although, they used to grow cotton, they never weaved it. Instead they would sell the raw material to neighbouring groups and bought finish products from them. This explains why their costume is very similar to that of the Thai. 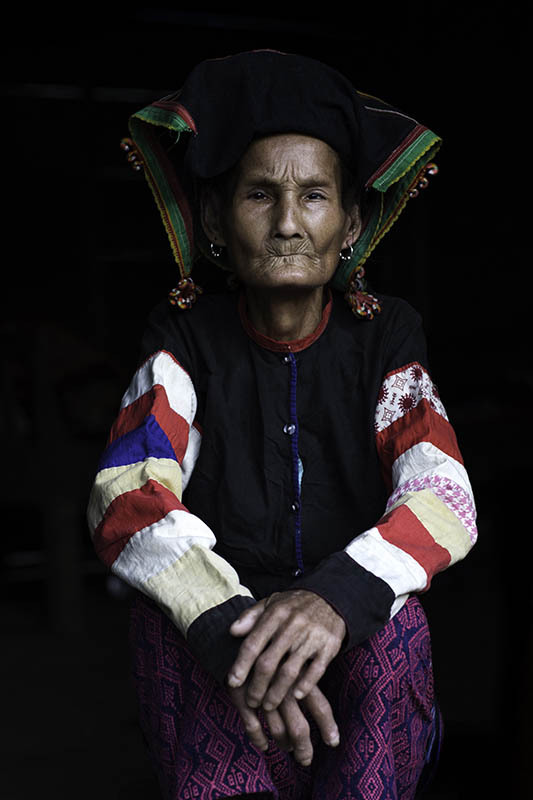 They have however, mastered wickering and make beautiful mats and back baskets, which they carry on their head with a head strap.The woman portrayed in the picture, Ly Thi Thin, 80, owns the last Cong costume. It was a great honour to have been entrusted with it to represent her culture and to raise awareness of the urgent need to protect the Cong’s cultural heritage, to which young people are becoming increasingly estranged. There are other villages that I couldn’t gain access to on this trip, but I have plans to go back and hopefully find better preserved elements of their story.